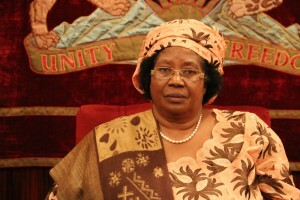 With defeat on the horizon and her main rival about to win, President Joyce Banda has announced the nullification of Malawi’s presidential elections. Speaking on national radio MBC on Saturday, President Banda said there were many serious irregularities during the polls citing alleged multiple voting, ballots being tampered with and the vote tallying computer system allegedly having being hacked by operatives of the Democratic Progressive Party. She went on to order for fresh polls within 90 days in which she has indicated she won’t stand. However, reacting to this decree, renowned lawyer Mandala Mambulasa of the Malawi Law Society has faulted the President for halting a democratic electoral process saying there is no such provision in the country’s constitution. Another legal expert, Henry Chingaipe of Chancellor College, a constituent college of the University of Malawi, said President Banda’s decision was a recipe for disaster especially at this time when the whole electoral process has not finished. What the president has done can escalate tensions and eventually put the country in serious chaos since people will perceive this as a way of unlawful prevention of the constitutional order”, Chingaipe said. Meanwhile, there has been violent reaction to Banda’s proclamation in the cities of Blantyre and Lilongwe. Police and armed forces moved in quickly and now patrol the streets. Unofficial results compiled by Malawi Electoral Support Network (MESN), an independent civil society network, put Peter Mutharika of the DPP at 1,789,364 votes followed by Lazarous Chakwera of Malawi Congress Party with 1,387,500 while Banda and her Peoples Party are seen in third place with 1,042,686 votes. Official results from the Malawi Electoral Commission are due to be officially announced in the coming days. 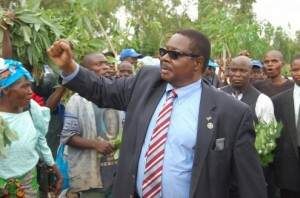 In a frist reaction, Malawi’s High Court rejected Banda’s nullification. The ruling judge said Banda had not the authority to do so.